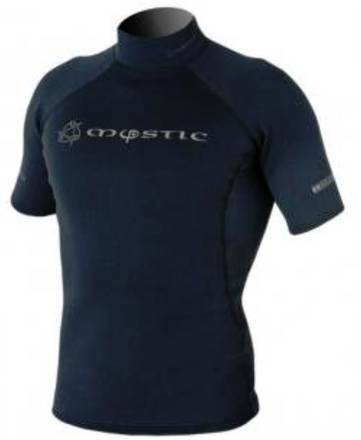 A thin 1.5mm slim fit Mystic Matrix top for men. You can use it separately or in combination with a thicker long john wetsuit. It has a heat reflecting thermal insulation.